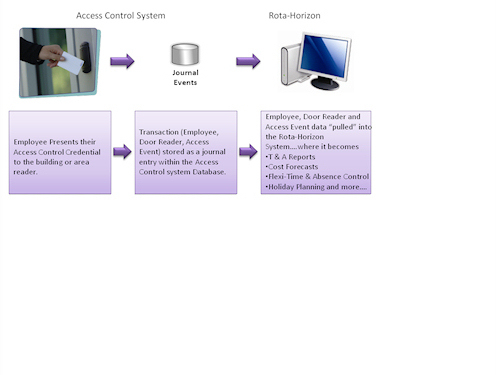 In operation, access control transactions (In and Out reader events) are stored within the access control systems database. 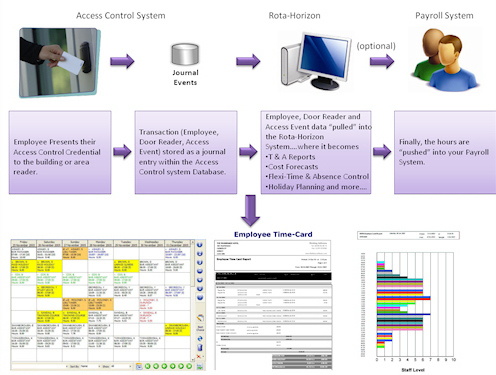 In real time, these transactions are "pulled” into the Rota-Horizon Staff Planning and Time & Attendance system. 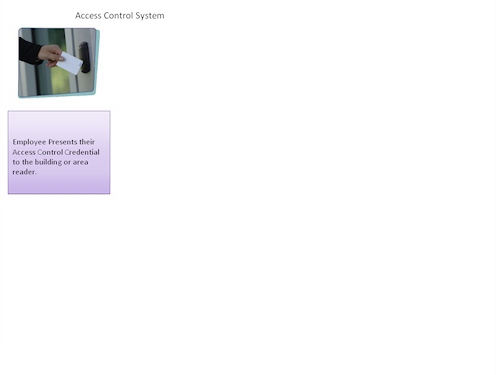 Each time an access control credential is presented to an "In” reader on the buildings Access Control system, that transaction is logged as an "In” clocking punch on the Time & Attendance system and vice versa when an "Out” reader is utilised. 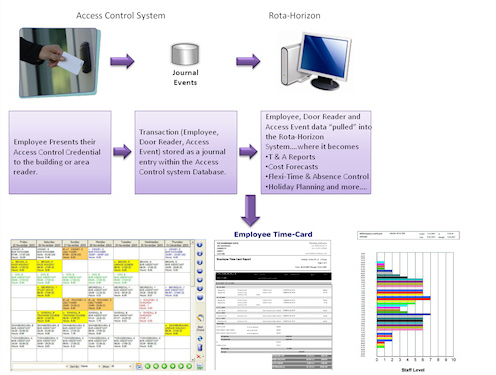 Once the information is within the Rota-Horizon database, it can be manipulated in a variety of ways in order to produce a powerful summary of an Employee’s Working and Absence history. Additionally, via the Horizon Pay-Link Module, details of Employee Hours Worked and current Pay Rates can be exported to over 60 popular Payroll Programmes and HR Systems.